The Milford Bucks Program is used to help promote “Shopping Local”! Milford Bucks can currently be purchased at Farmer’s Savings Bank with Corey Langner. Milford Bucks are sold in denominations of $5 and $20. 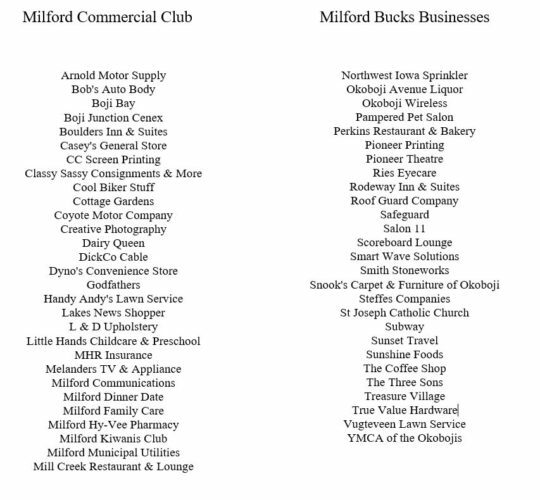 Milford Bucks are used like Cash or Check which is backed by the Milford Commercial Club. When a business accepts Milford Bucks they would deposit the Milford Bucks like they would a personal or business check. Milford Bucks can be used at any of our Milford Member Business. 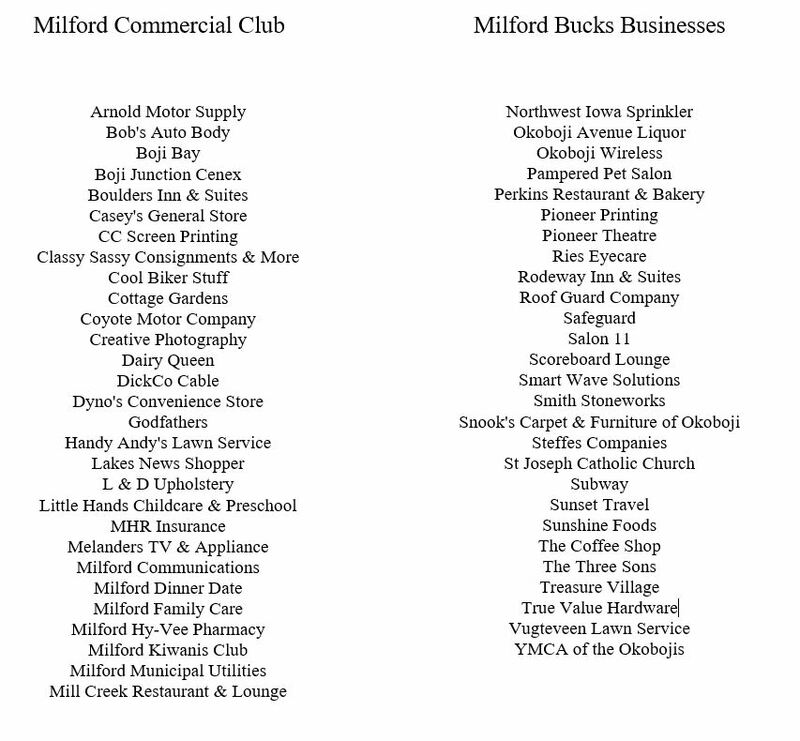 A list of Milford Member Businesses that accept Milford Bucks can be found below. Milford Bucks are given at Holiday Fantasy, Pioneer Days and other events to help promote shopping local as a member benefit. We encourage all Milford Member Businesses that accept Milford Bucks to encourage the use of them at your business. Here are a list of Milford Bucks Redemption sites! Thanks for supporting your local businesses!